November 29, 2018, Ottawa – The ITK Board of Directors met today and approved the Inuit Tuberculosis Elimination Framework as part of their quarterly meeting. The Framework will be officially released on December 10th pending final translations and formatting, and will provide national guidance on priority actions needed to eliminate TB among Inuit in Inuit Nunangat. In addition to the approval of the Inuit TB Elimination Framework, the Board discussed the upcoming joint announcement on Indigenous child and family services and associated next steps with the Federal government and National Indigenous Organizations. In preparation for the Inuit Crown Partnership Committee meeting later in the afternoon, the ITK Board reviewed Inuit priorities on post-secondary education support, Inuit-specific Early Learning and Child Care funding allocations, housing, food security and the Arctic Policy Framework. The Board of Directors re-appointed NTI President Aluki Kotierk to the role of Secretary-Treasurer for the next year per the ITK by-laws. ITK’s Board of Directors is made up of the four elected leaders of the four Inuit land claim regions as voting members. 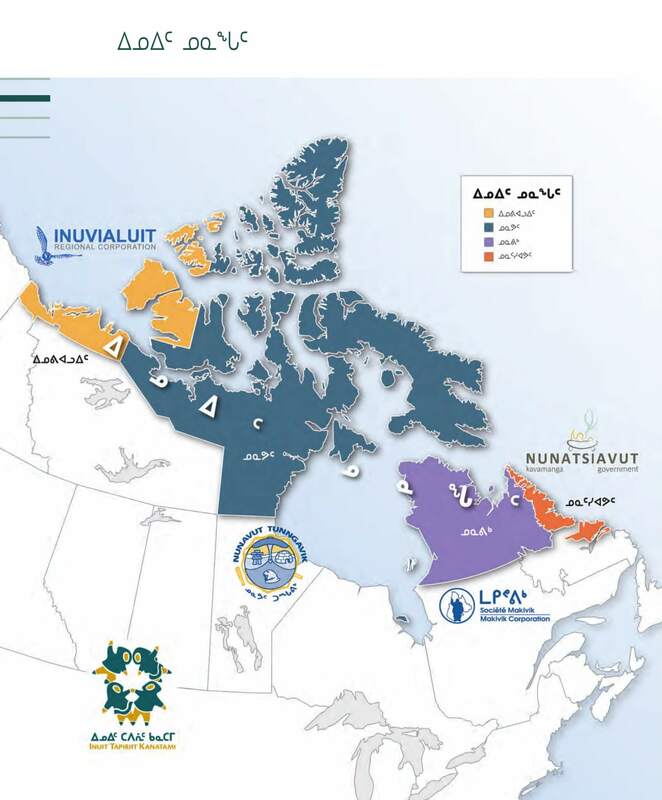 The four Inuit land claim organizations are: the Inuvialuit Regional Corporation, Nunavut Tunngavik Incorporated, Makivik Corporation, and the Nunatsiavut Government. The President of the Inuit Circumpolar Council Canada acts as Vice President of the ITK Board and is a non-voting member. The Presidents of Pauktuutit Inuit Women of Canada the National Inuit Youth Council and are also non-voting members. ᓄᕕᐱᕆ 29, 2018, ᐋᑐᕚ – ᐃᓄᐃ ᑕᐱᕇᑦ ᑲᓇᑕᒥ ᑲᑎᒪᔨᖏᑦ ᐅᓪᓗᒥ ᑲᑎᒪᓚᐅᖅᑐᑦ ᐊᖏᓚᐅᖅᖢᑎᒡᓗ ᐃᓄᐃᑦ ᐳᕙᓪᓗᖕᓂᕐᒥᒃ ᓄᖑᑎᕆᓂᕐᒧᑦ ᐱᓕᕆᐊᒃᓴᕐᒥᒃ. ᐱᓕᕆᐊᒃᓴᖅ ᓴᖅᑭᑎᑕᐅᓚᐅᖅᑐᖅ ᑎᓯᐱᕆ 10-ᖑᑎᓪᓗᒍ ᐅᑕᖅᑭᒐᓗᐊᖅᑎᓪᓗᒋᑦ ᐃᓅᒃᑑᓕᖅᑎᑕᐅᓂᖓᓂᒃ ᐋᖅᑭᒃᓱᖅᑕᐅᓂᖓᓂᒡᓗ, ᐊᒻᒪᓗ ᑲᓇᑕᒥ ᑐᑭᒧᐊᒃᑎᑦᓯᓂᐊᖅᖢᓂ ᓯᕗᓪᓕᖅᐸᐅᑎᑕᐅᔭᕆᐊᓕᖕᓂᒃ ᐳᕙᓪᓗᖕᓂᖅ ᓄᖑᑎᖅᑕᐅᒐᓱᖕᓂᐊᖅᑎᓪᓗᒍ ᐃᓄᖕᓂᑦ ᐃᓄᐃᑦ ᓄᓇᖓᓐᓂᑦ. ᑲᑎᒪᔨᑦ ᑲᑎᒪᔾᔪᑎᖃᓚᐅᕐᒥᔪᑦ ᑐᓴᖅᑎᑦᓯᓂᐅᓛᖅᑐᕐᒥᒃ ᓄᓇᖃᖅᑳᖅᓯᒪᔪᑦ ᓄᑕᕋᓕᕆᓂᖅ ᐃᓚᒌᒃᑐᓕᕆᓂᕐᒧᓪᓗ ᒪᓕᒐᒃᓴᖅ ᐊᒻᒪᓗ ᐱᓕᕆᐊᖑᓂᐊᖅᑐᑦ ᐱᓕᕆᖃᑎᒌᒡᓗᑎᒃ ᑲᓇᑕᒥ ᒐᕙᒪᑐᖃᒃᑯᑦ ᐊᒻᒪᓗ ᑲᓇᑕᒥ ᓄᓇᖃᖅᑳᖅᓯᒪᔪᑦ ᑎᒥᖁᑎᖏᑦ. ᐃᓄᐃᑦ ᒐᕙᒪᑐᖃᒃᑯᓪᓗ ᐱᓕᕆᖃᑎᒌᖕᓂᕐᒧᑦ ᑲᑎᒪᔨᑦ ᑲᑎᒪᓂᐊᖅᑎᓪᓗᒋᑦ ᐅᓪᓗᒥᑦᑕᐅᖅ ᐸᕐᓇᓚᐅᕐᒥᔪᑦ ᐃᓄᐃᑦ ᑕᐱᕇᑦ ᑲᓇᑕᒥ ᑲᑎᒪᔨᖏᑦ ᕿᒥᕐᕈᓚᐅᖅᑐᑦ ᐃᓄᐃᑦ ᓯᕗᓪᓕᐅᑎᓯᒪᔭᖏᓐᓂᒃ ᐃᓕᓐᓂᐊᕆᐊᒃᑲᓐᓂᖅᑐᓂᒃ ᐃᑲᔪᕈᑎᓂᒃ, ᐃᓄᖕᓅᓕᖓᔪᖅ ᐃᓕᓐᓂᐊᕈᒫᓕᓵᑦ ᐸᐃᕆᕕᖕᓄᓪᓗ ᑮᓇᐅᔭᑦ ᐊᒥᖅᑳᕈᑎᒃᓴᑦ, ᐃᒡᓗᓕᕆᓂᖅ, ᓂᕆᔭᒃᓴᖃᑦᓯᐊᕐᓂᖅ, ᐊᒻᒪᓗ ᐅᑭᐅᖅᑕᖅᑐᕐᒨᓕᖓᔪᑦ ᐊᑐᐊᒐᓕᕆᓂᕐᒧᑦ ᐱᓕᕆᐊᒃᓴᖅ. ᑲᑎᒪᔨᑦ ᑎᒃᑯᐊᖅᓯᓚᐅᖅᑐᑦ ᓄᑖᕐᒥᒃ ᑮᓇᐅᔭᓕᕆᔨᖓᓐᓂᒃ ᐅᑭᐅᒧᑦ ᖃᐃᔨᒥᑦ. ᓄᓇᕗᑦ ᑐᙵᕕᒃᑯᑦ ᐊᖓᔪᖅᑳᖓᓂᑦ ᐊᓗᑭ ᑰᑦᑎᖅ ᑎᒃᑯᐊᖅᑕᐅᓚᐅᖅᑐᖅ ᒪᓕᒃᖢᑎᒃ ᐃᓄᐃᑦ ᑕᐱᕇᑦ ᑲᓇᑕᒥ ᒪᓕᒐᕋᓛᖁᑎᖏᓐᓂᒃ. ᐃᓄᐃᑦ ᑕᐱᕇᑦ ᑲᓇᑕᒥ ᑲᑎᒪᔨᖏᑦ ᐃᓚᖃᖅᑐᑦ ᓯᑕᒪᓂᒃ ᓂᕈᐊᖅᑕᐅᓯᒪᔪᓂᒃ ᐃᓄᐃᑦ ᐊᕕᒃᑐᖅᓯᒪᔪᖁᑎᖏᓐᓂᒃ ᓂᕈᐊᕈᖕᓇᖅᖢᑎᒃ ᑲᑎᒪᔨᐅᔪᑦ. ᓯᑕᒪᐅᔪᑦ ᐃᓄᐃᑦ ᑎᒥᖁᑎᖏᑦ: ᐃᓄᕕᐊᓗᐃᑦ ᑎᒥᖁᑎᖓᑦ, ᓄᓇᕗᑦ ᑐᙵᕕᒃ, ᒪᑭᕝᕕᒃ, ᐊᒻᒪᓗ ᓄᓇᑦᓯᐊᕗᑦ ᒐᕙᒪᖓᑦ. ᐃᓄᐃᑦ ᐅᑭᐅᖅᑕᖅᑐᓕᒫᕐᒥᑦ ᑲᑎᒪᔨᕐᔪᐊᖏᑦ ᑲᓇᑕᒥ ᐊᖓᔪᖅᑳᖓᑦ ᑕᒡᕙᓂ ᐃᓄᐃᑦ ᑕᐱᕇᑦ ᑲᓇᑕᒥ ᑲᑎᒪᔨᖏᓐᓂᑦ ᐊᖓᔪᖅᑳᑉ ᑐᒡᓕᕆᔭᖓ ᓂᕈᐊᕐᓂᕐᓗ ᐊᔪᖅᖢᓂ. ᐸᐅᒃᑑᑎᒃᑯᒃ ᐊᒻᒪᓗ ᐃᓄᐃᑦ ᒪᒃᑯᒃᑐᑦ ᑲᓇᑕᒥ ᑲᑎᒪᔨᖏᑦᑕ ᐊᖓᔪᖅᑳᖏᑦ ᓂᕈᐊᕈᖕᓇᖏᖦᖢᑎᒃ ᑲᑎᒪᔨᐅᖃᑕᐅᔫᒃ. ᐃᓄᐃᑦ ᑕᐱᕇᑦ ᑲᓇᑕᒥ ᐊᐅᓚᑦᓯᓂᖓᑦ ᑲᑎᒪᔨᐊᓛᖁᑎᖏᓪᓗ ᐋᖅᑭᒃᓯᒪᔪᑦ ᐃᓄᐃᑦ ᑕᐱᕇᑦ ᑲᓇᑕᒥ ᑐᑭᒧᐊᒍᑎᑖᖅᑕᓛᕐᒪᑕ ᑲᓇᑕᒥ ᒪᓕᒡᓗᑎᒃ ᐃᓄᐃᑦ ᑎᒥᖁᑎᖏᑦᑕ ᓯᕗᓪᓕᐅᑎᓯᒪᔭᖏᓐᓂᒃ.